A public service announcement (PSA) is a message distributed to the public by media with the goal of raising awareness and changing public attitudes and behaviors towards a social issue. Lamaze provides our educators with audio Public Service Announcement (PSA) clips and resources. Use these tools to approach local media and raise awareness in your community about the value of evidence-based childbirth education for having safe and healthy births. Review the tips below on distributing a PSA, how to work with local media, sample email and phone script. 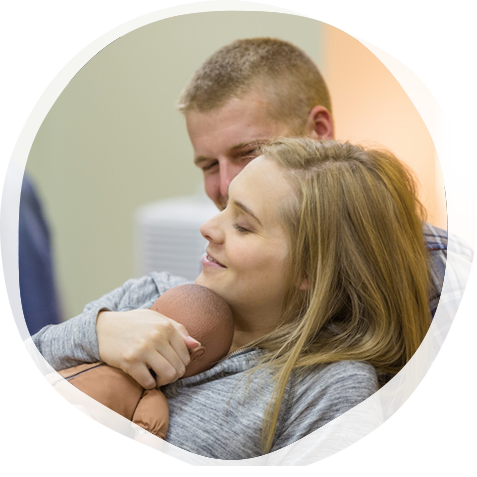 As an active member in your community, you have the opportunity to share first-hand how the pregnant women you work with yearn for information and how childbirth education can help them get the best, evidence-base care for safe and healthy births. Begin by making a list of the local radio stations in your community. If there is an NPR affiliate in your community, add them to your list. If you are in an area with a lot of LCCE educators, work together to divide and conquer! To prevent duplicate efforts, have each LCCE educator take an outlet (depending on the number of educators and outlets in your community, you may need to take multiple outlets). Many stations will have instructions on their website for submitting a PSA. If you cannot find instructions about PSAs, look for a general phone number or email address for the station manager. We have created a sample email template and phone script you can use when reaching out to your local media. The PSAs included in this resource follow a standard format, but each outlet may have their own requirements. Always be sure to ask. Please note that a PSA should be void of any promotion, so please stick to the messaging that has been provided and refrain from including promotion of your classes. If they are interested in learning more, they will figure out how to find local educators. I have a PSA about the importance of childbirth education that I would like to submit for your consideration. As an active member in the community, now is an opportunity for [STATION NAME] to share this resource with your [LISTENERS/]. If you have any questions or need any additional information, please feel free to contact me at [PHONE NUMBER] or [EMAIL ADDRESS].